Christmas is around the corner, and many of you are probably still shopping. This is a tense time for those struggling with credit repair. Buying gifts for family and friends can be difficult on a tight budget, especially if you come from a large brood. 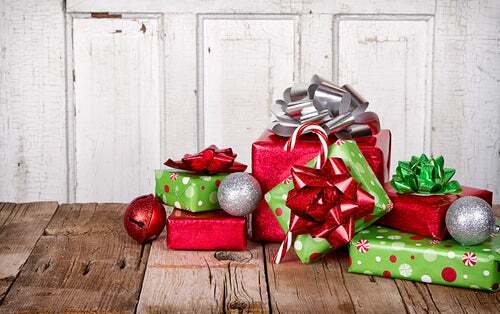 According to the American Research Group, the average American household will spend $801 on holiday gifts this year. If you’re worrying how to make ends meet, it’s time to get creative. There are plenty of ways to give thoughtful gifts at a decent price. Consider the gifts below as credit saving alternatives. They’ll help you maintain your budget, reduce your debt and stay on track during the holiday season. Why? They all cost $10 or less! Recreating childhood photos has become an internet sensation—a funny and sweet gift for parents. Give your Mom and Dad something unique this year. Once you’ve recreated your photos, print them at your local CVS for only $0.19 per 4×6 photo. In a pinch this year? Take your holiday spending no further than the kitchen. Bake cookies, cake, or other seasonal treats and deliver them to friends and family. They’ll appreciate the personal effort and your bank account can breathe easy. If you don’t have the time to cook, why not share a coveted recipe with friends and family? Fork over the instructions for your famous barbecue sauce or devil’s food cake. Print recipe cards at home and wrap them in an affordable baking dish. Give a gift that lasts all year. Browse Amazon for $10-or-less magazine subscriptions, available in digital and print formats. Books are great for adults and kids alike. Consider your loved one’s literary taste and choose a title they’d enjoy. Write a Christmas message on the inside cover, allowing the book to double as a card. For an aspiring writer, there’s no greater gift than a new journal. Pick up a three-pack of these mini versions and hand them out to your writerly friends. They’ll appreciate a fresh and decorative space to compose their words. There are plenty of tasty wines that come with an even sweeter price tag. This year, buy your friends and coworkers a fresh bottle of Apothic Red Blend or a Riesling from Chateau Ste. Michelle. When it comes to kid gifts, you can’t go wrong with Legos. Browse your local Barnes and Noble for a variety of sets at prices you can afford. While perhaps not the best gift for your significant other, a rechargeable phone battery is the perfect present for a friend who travels often. New grads will love this gift. Browse the market for cheap stocks with a positive outlook for 2014. Who knows, your gift could pay off!